Photo taken 6th May 2008. At the time it's worth eating, when the leaves form a rosette on the ground, it's a small, insignificant weed. However this is very early in the year when there's not a lot around that's worth eating. The specimen above is past that stage as it's gone to seed. Not that there's anything dangerous about eating at this stage, but ripe seed heads and stalks tend to be fibrous therefore unpalatable. The photo below was taken March 8th 2009 and shows the young plant at the stage when it is well worth picking. The stems and leaves above can just be seen as being slightly hairy - hence the appellation 'hirsuta' but you really do need a good lens to see the hairs! 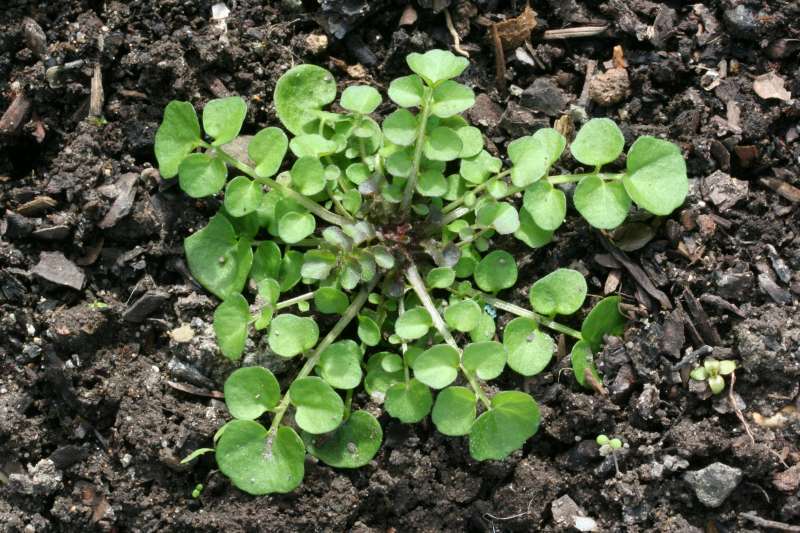 The leaves are pleasant eating, having a pleasant peppery taste similar to water cress. 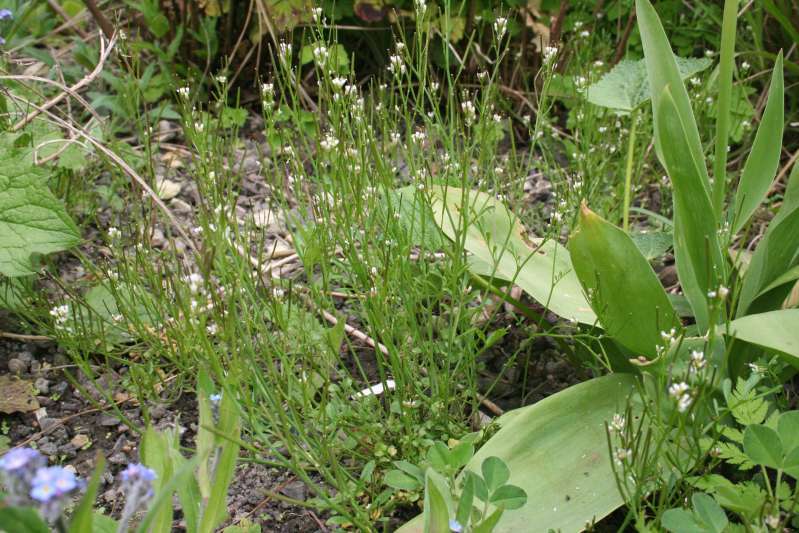 It is of the bittercress fanily but lacks the bitterness of many of them. It's a common enough garden weed, well worth not weeding out if you see it i early spring, but if you wish to grow it as a crop, then American land cress is in effect a much bigger version with exactly the same tase.